Given the number of “Christian celebrities” that dot the landscape of America, I wonder how many of them have less than a million dollars? I’m thinking that not very many fit into that category. In fact, I would estimate that most are multi-millionaires, and some may even be billionaires by now. And for all of the Christian celebrities out there, which of them endorses a humble lifestyle or encourages others to live a lifestyle free from “the love of money”? I imagine there are a few, but their lifestyles are hard to ignore while living in a country obsessed with money and all it can buy. The love of money has grown exponentially in the Church in America in the past several decades as it has in society at large, and a lavish lifestyle has followed many if not most of those who possess large quantities of money with an ever insatiable desire for more. And those attached to the church in America will tell you in any number of ways why it’s A-okay with God to be so focused on money, but, of course, they don’t put it in terms quite that clear. No, it is disguised as “prosperity” to make greed more palpable for a Christian audience. 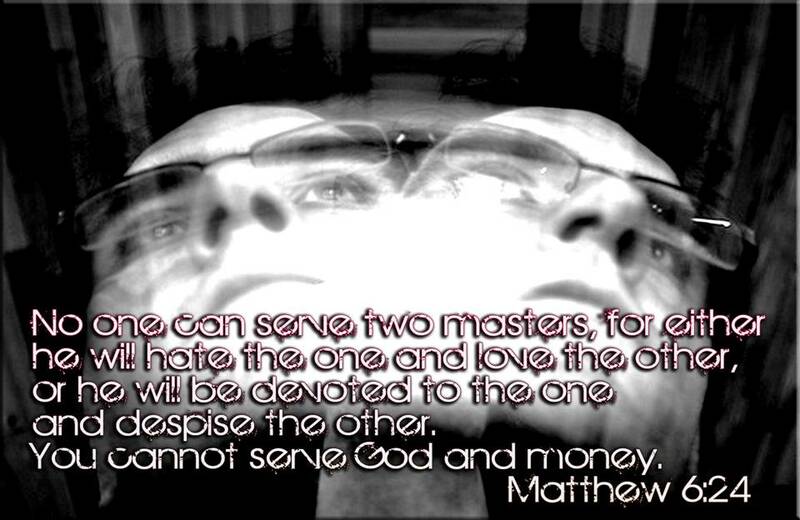 Of course, God states just the opposite, but who really pays attention to God when it comes to the love of money? Jesus made it quite clear in his “Sermon on the Mount” that “No one can serve two masters. Either you will hate the one and love the other, or you will be devoted to the one and despise the other. 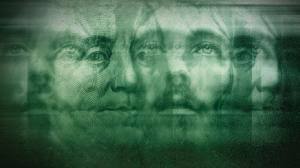 You cannot serve both God and money” (Matthew 6:24). Still, Christians try to do it all the time. Before I go any further, this post is not written to be a slam on rich Christians or Christian celebrities in America. Money, in and of itself, is not the problem. But when money, and making money, is our primary focus in life, whether rich, poor, or somewhere in between (and for a whole lot of folks it is, regardless of what we say), we are building our house on sand. And we have made money our god. And a bad economy can take it all away in a heartbeat. These are the things you are to teach and insist on.If anyone teaches otherwise and does not agree to the sound instruction of our Lord Jesus Christ and to godly teaching, they are conceited and understand nothing. They have an unhealthy interest in controversies and quarrels about words that result in envy, strife, malicious talk, evil suspicions and constant friction between people of corrupt mind, who have been robbed of the truth and who think that godliness is a means to financial gain. Contentment is rarely found in America today. We are always striving after something . . . a better job and/or a fancier title, a bigger salary, more possessions . . . the list is endless. And this is absolutely the opposite of what Jesus Christ stood for and taught as well as all of the others writers of the New Testament. It seems that nobody in America is content to be a “nobody.” And it also seems like no one is content with serving others without some kind of pat on the back for ourselves. No, we want the accolades, and if money is a part of that, all the better. We all want to write the latest “New York Times” bestseller or whatever equivalent there is for our own dreams of success. The writer of Hebrews tells us in Hebrews 13:5 to “Keep your lives free from the love of money and be content with what you have, because God has said, “Never will I leave you; never will I forsake you.” Contentment, as I noted above, is very hard to find in America today, no matter what our socio-economic status happens to be. We always want more. We are never content with what we have, and that says a lot about our faith in God if we claim to be Christian. What is says is that we have no faith in God, and we have put all of our faith in money. We need to ask ourselves this question. What would we be willing to do for the promise of money? The amount doesn’t matter, although the larger the sum the more willing we would most likely be to do just about anything (even illegal) to get it. Would we leave our spouse, abandon our children, screw over a family member or a relative or a friend or a coworker; and would we be willing to destroy the life of someone we don’t even know and lie about them (after all, lying is commonplace in our society today even among Christians)? And what if we did all of that and the promise of money disappeared into thin air? And what if we ended up destroying our own life in the pursuit of money at the cost of anyone who got in our way? And if we are Christian, how do we square all of that with God? And how do we justify our actions before Him? Again, I want to stress that money, in and of itself, is not the issue here. Greed is the issue. And greed has taken over large portions of our society and the Church at large has done very little (if anything) to stop it as greed has taken over much of the church, too. The quickest way I know in America today to throw Christianity out the window is to offer money or the promise of money to folks who claim to be Christian and see how they respond. When the focus of our lives is on money and how to get more of it, we no longer depend on God who has clearly stated that if we keep our lives free from the love of money and be content with what we have, He will never leave us or forsake us. We are destroyed by our greed and then blame God with the mess we’ve created . . .
How far we have fallen . . . .